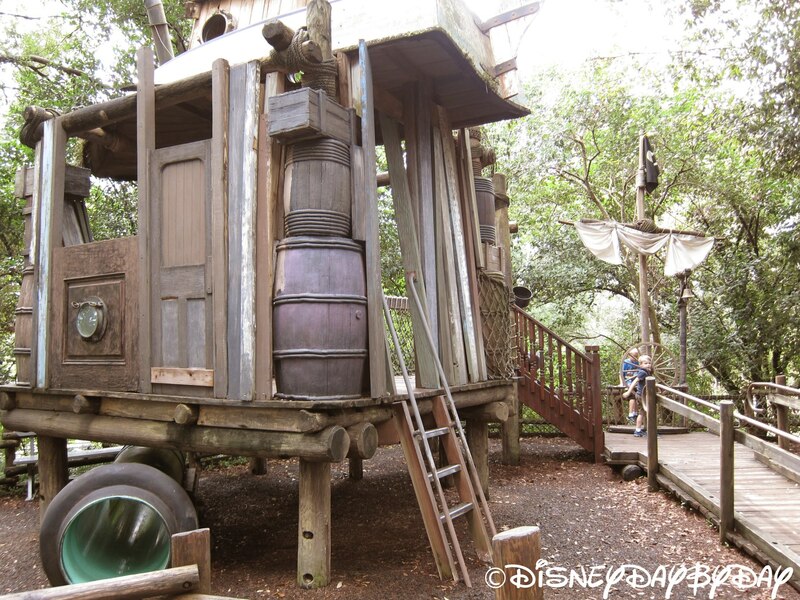 Let the kids run around and burn off some steam. 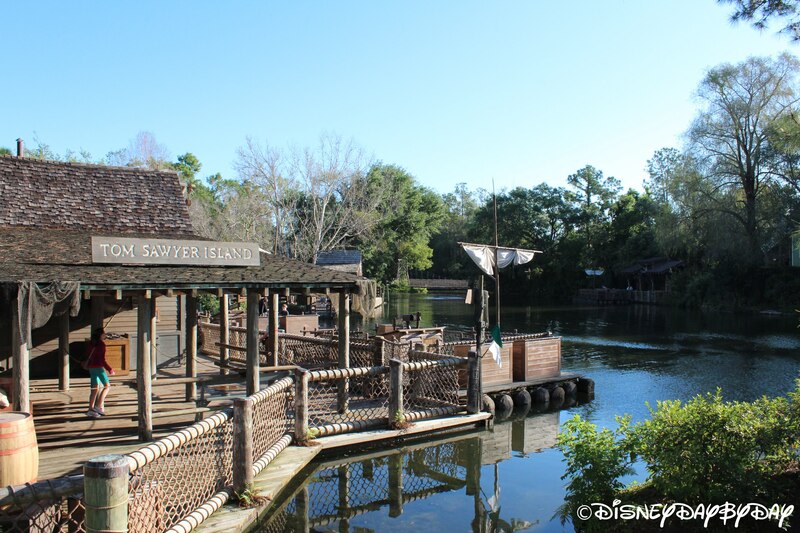 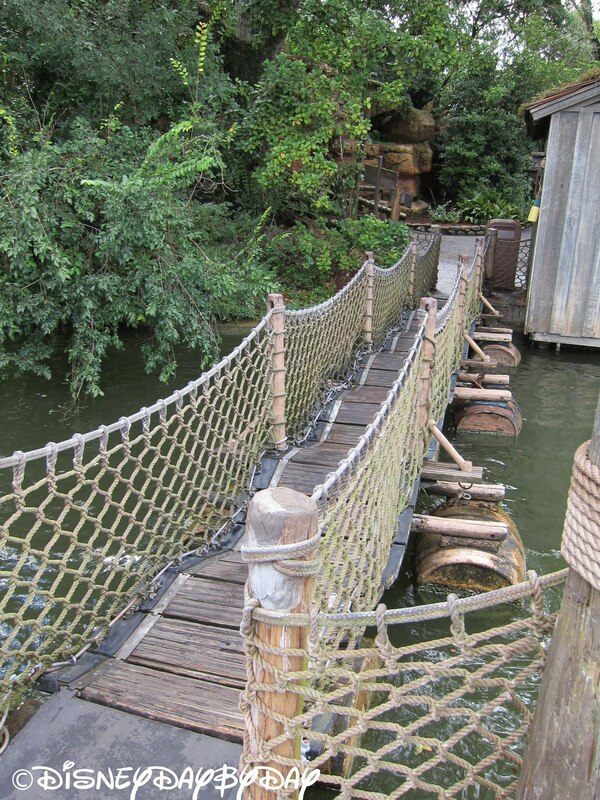 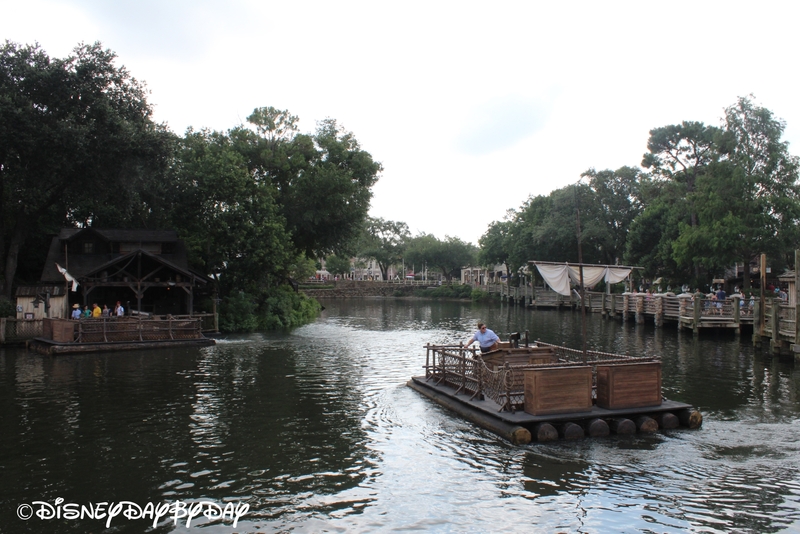 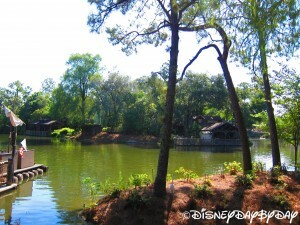 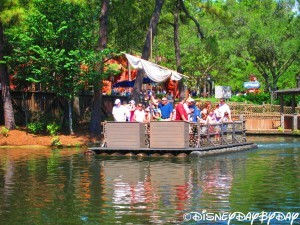 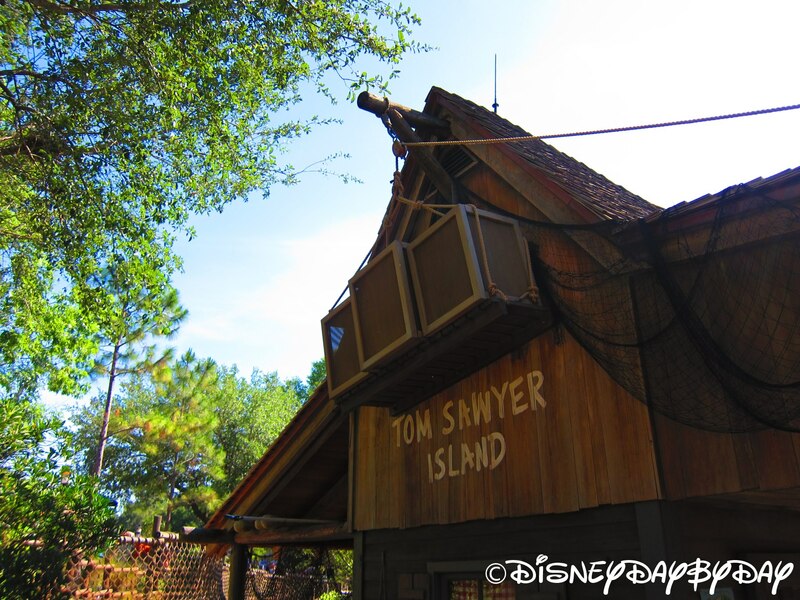 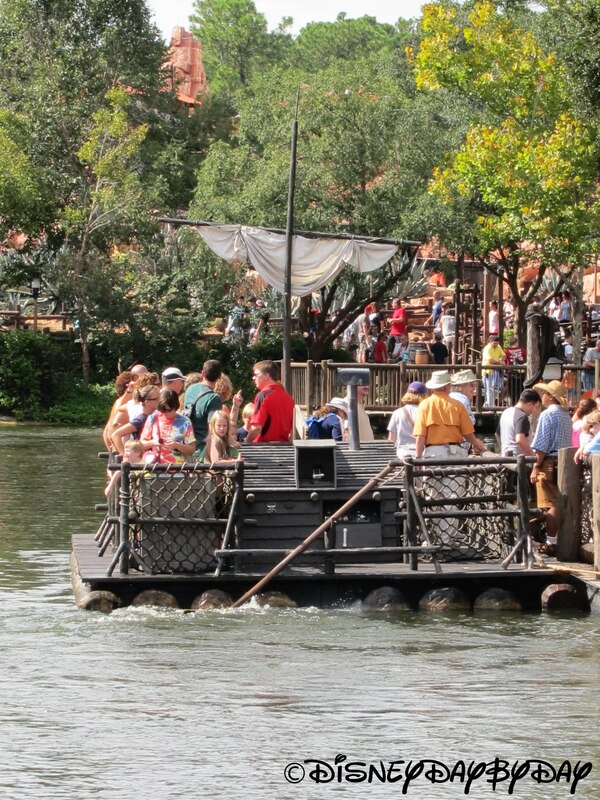 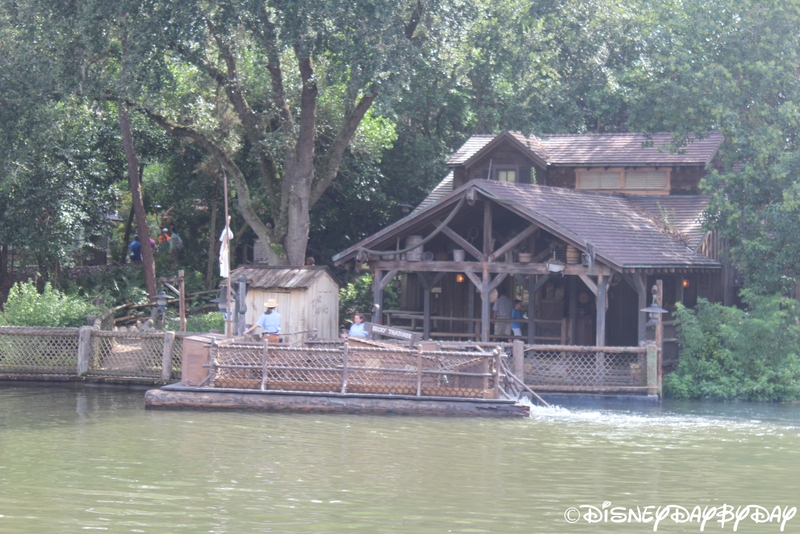 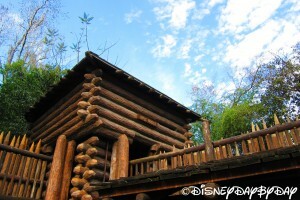 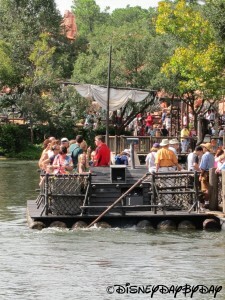 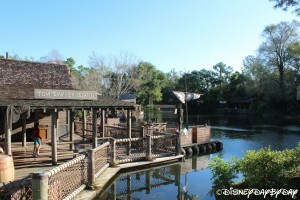 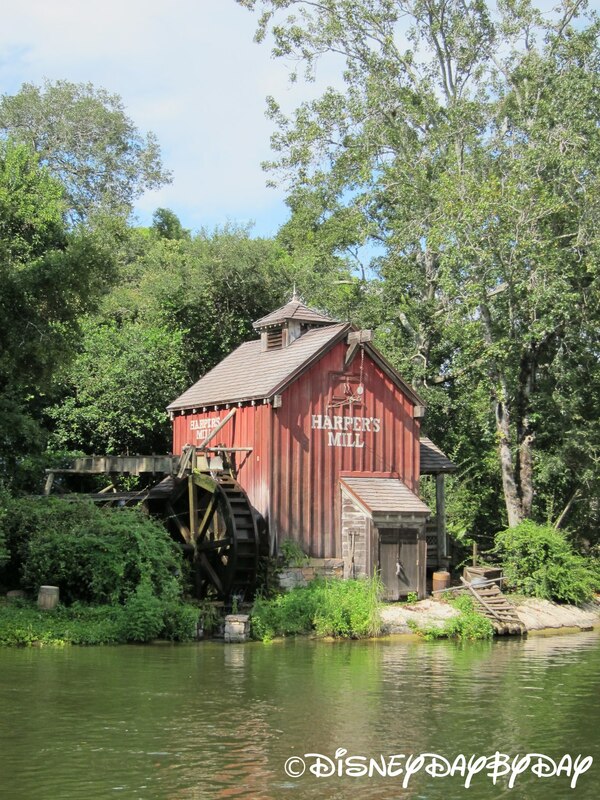 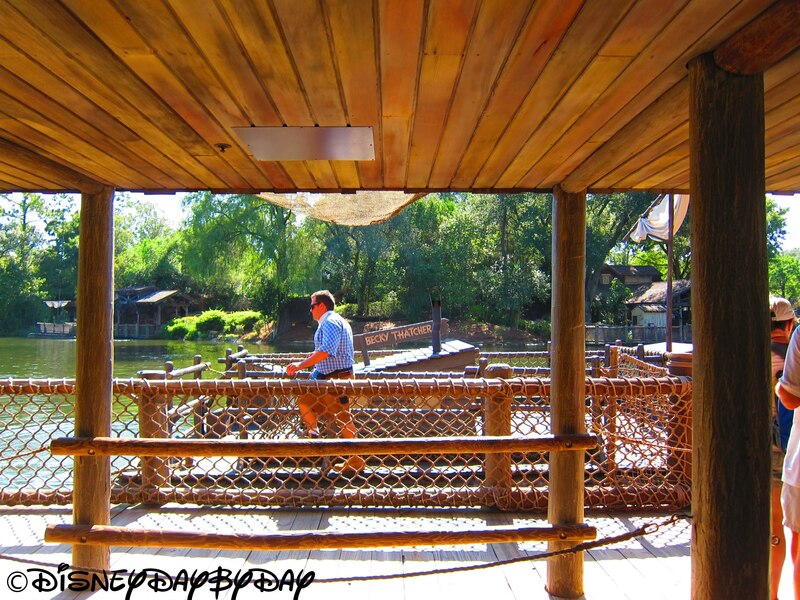 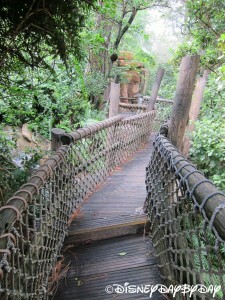 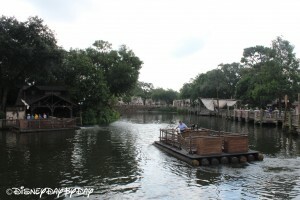 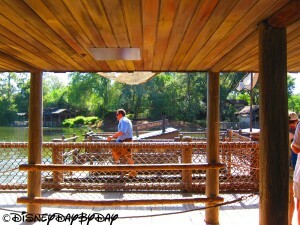 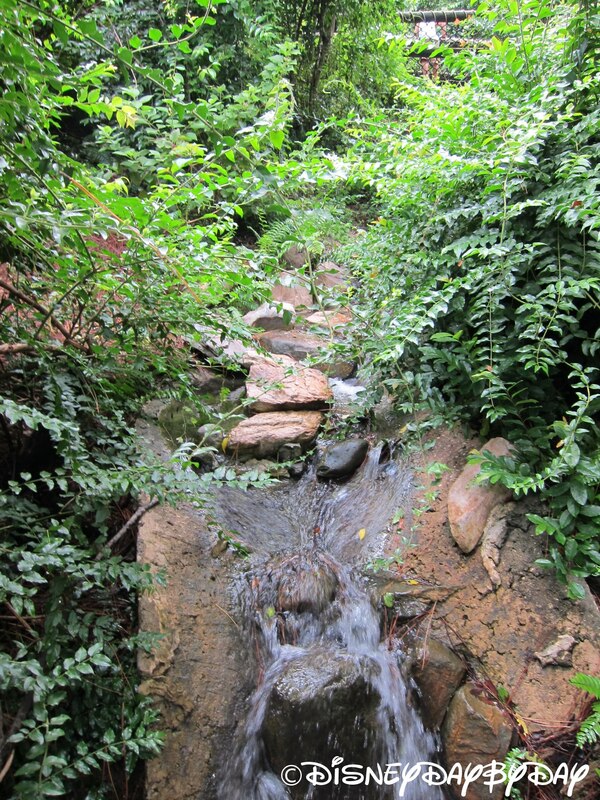 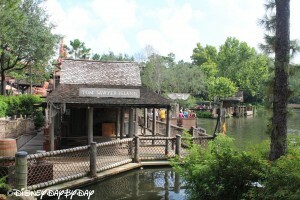 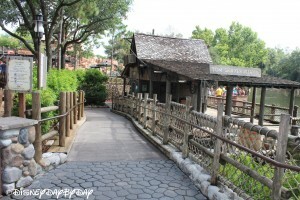 Tom Sawyer Island is a densely forested island with lots to explore. 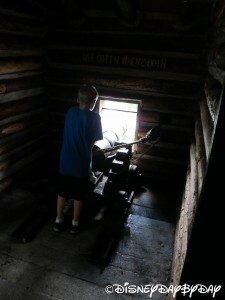 Check out Injun Joe’s or Magnetic Mystery Mine Caves. 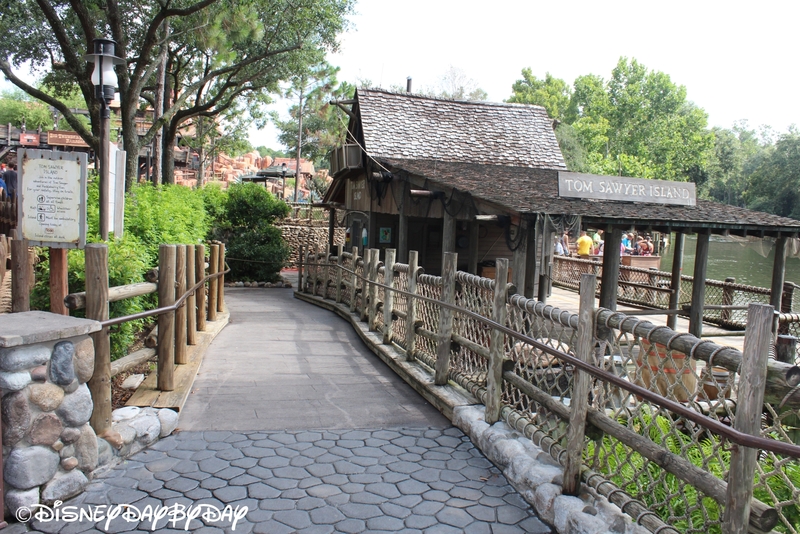 Be sure to hold onto little ones as you make your way through the caves, there are a few different turns and it is very dark. 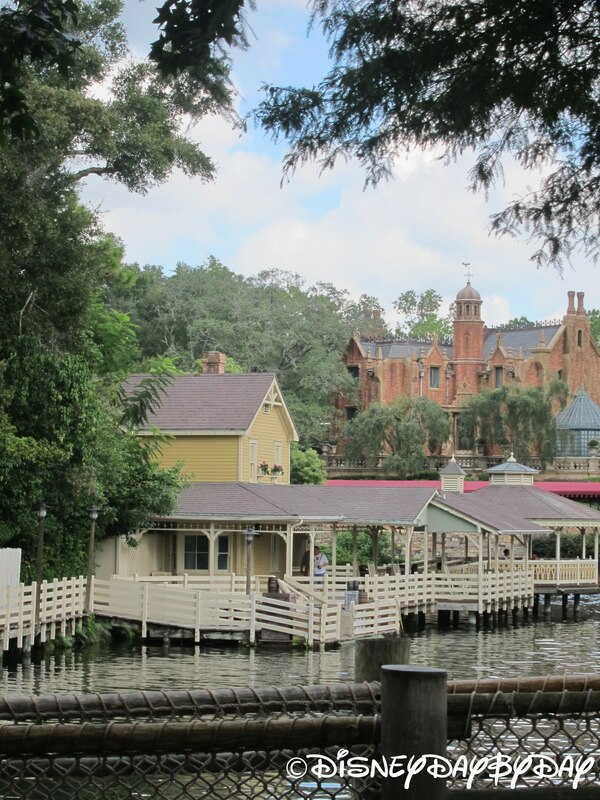 Also watch out for people in your party jumping out to scare you. 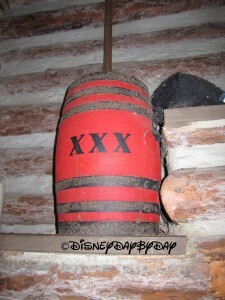 Yes, it has been known to happen. 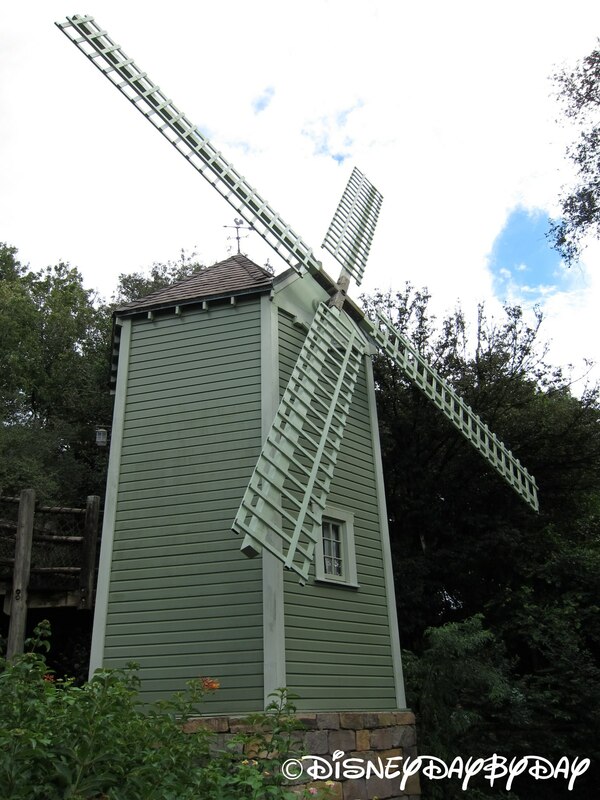 Check out the windmill and grist mill. 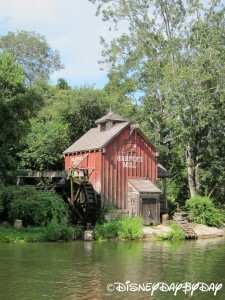 Is that a bird nest in the gears? 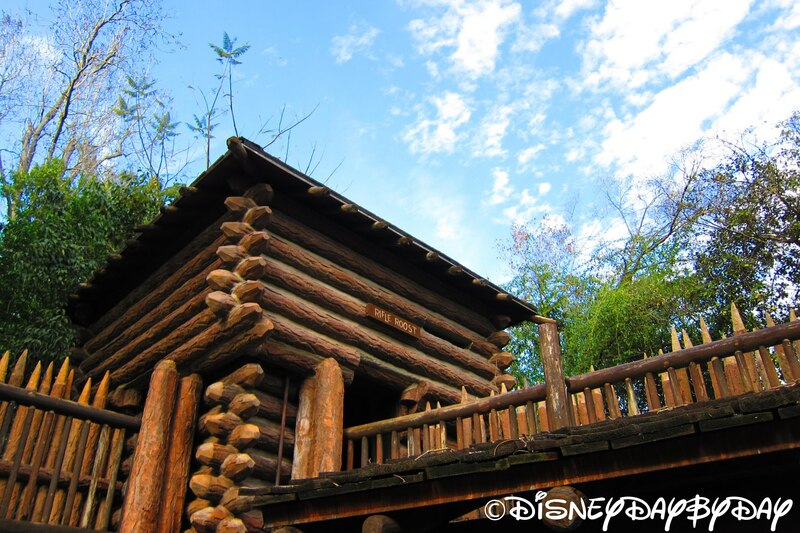 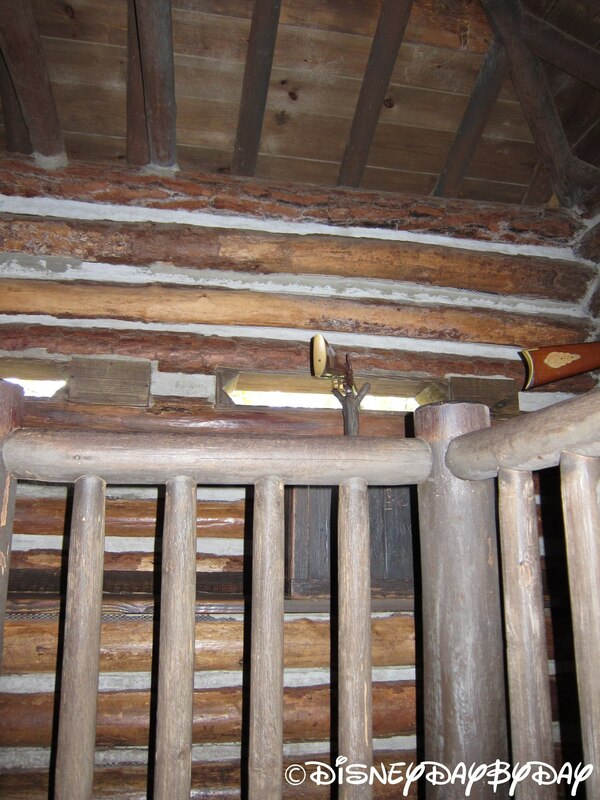 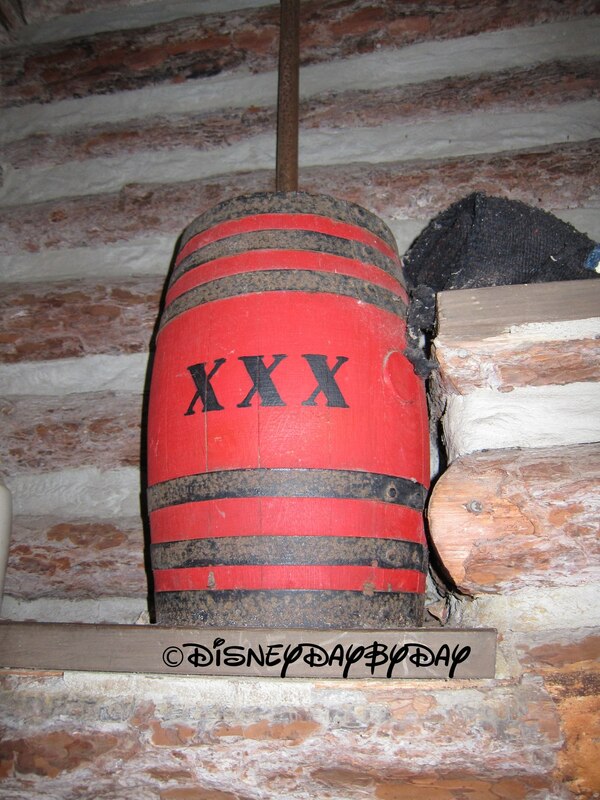 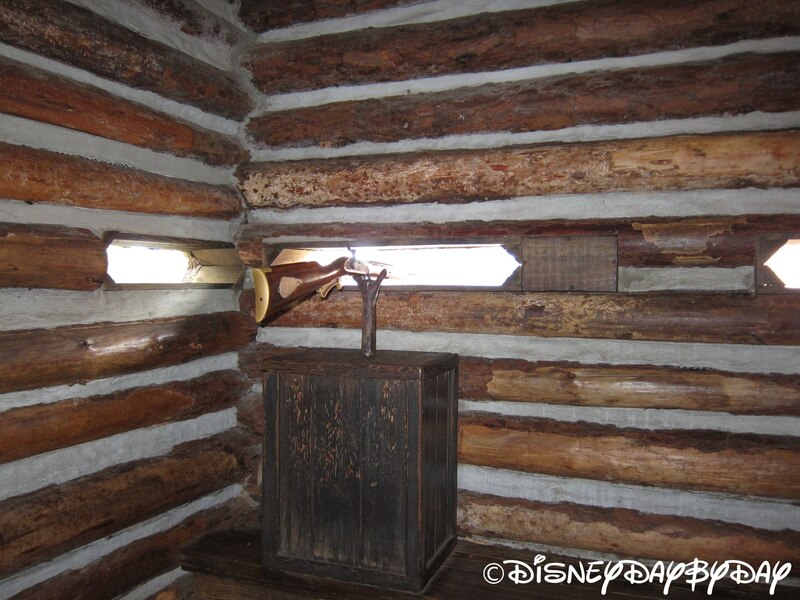 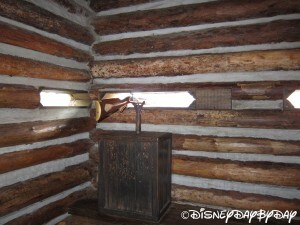 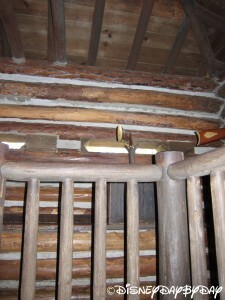 Head across the suspension bridge and explore Fort Longhorn, an awesome log fort. Be sure to go up to the second floor and shoot the guns. Head back across the suspension bridge and turn left to find another bridge on the island, this one a bit trickier to navigate. 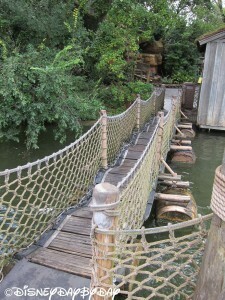 The barrel bridge is floating on barrels over the water which makes the bridge move quite a bit especially when others are jumping up and down. 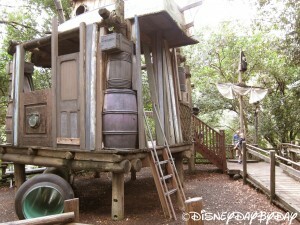 Finally, head to the top of the hill and enjoy a small playground before you head back to the mainland. Tom Sawyer Island is a great escape from the crowds, but will likely not make the list if you only have one day at the Magic Kingdom. 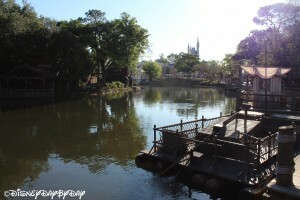 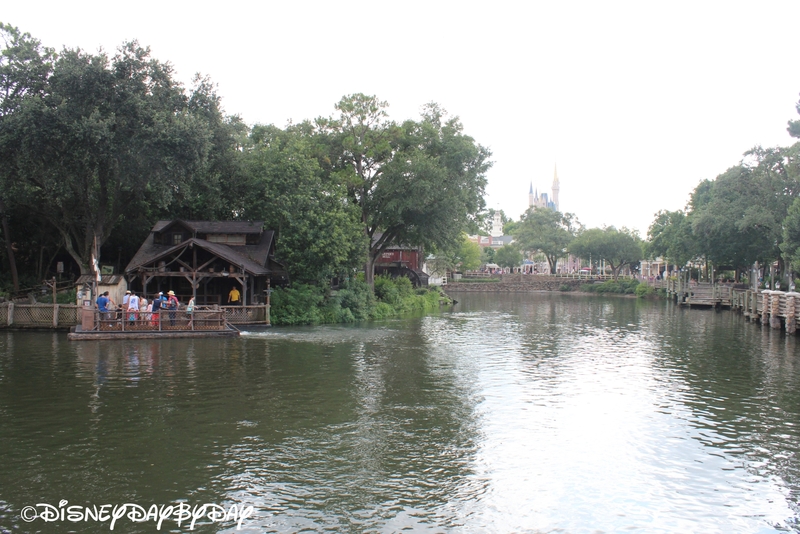 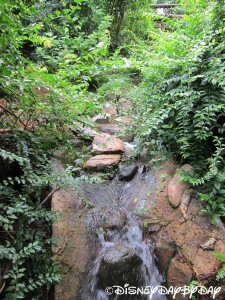 It is also a beautiful spot to take in the sites of Big Thunder Mountain Railroad and Haunted Mansion from a distance. 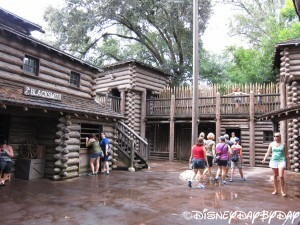 Good place to get away from the crowds and let the kids run around a bit. 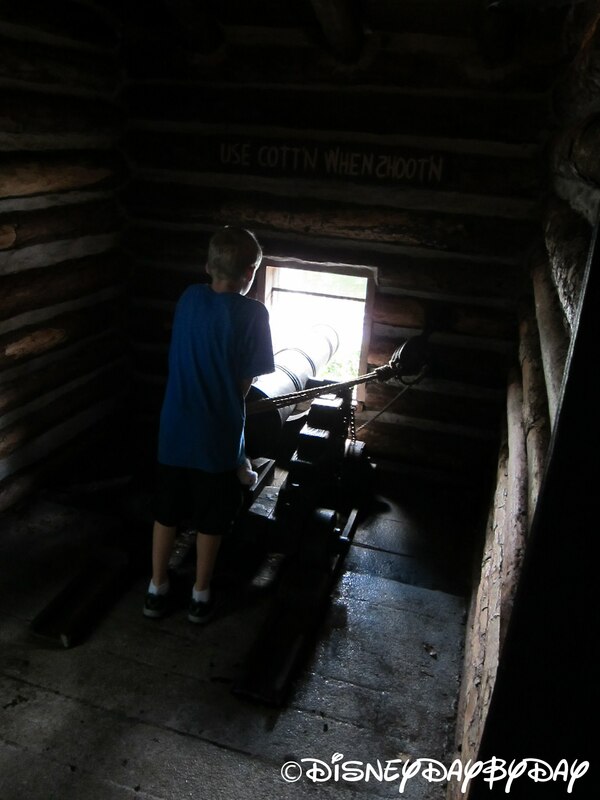 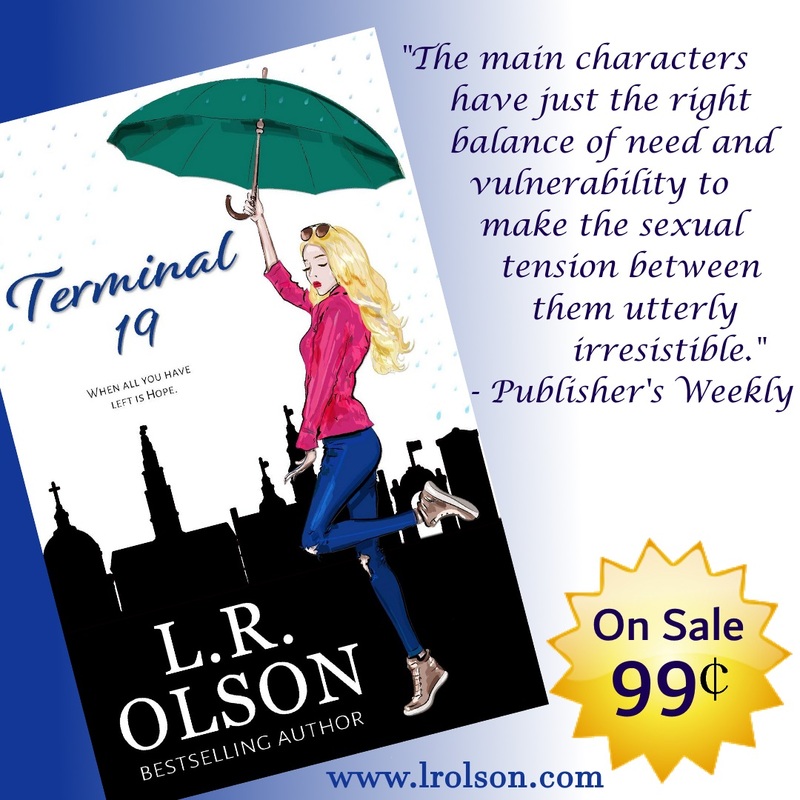 The tunnels and fort allow for a child’s imagination to run wild.